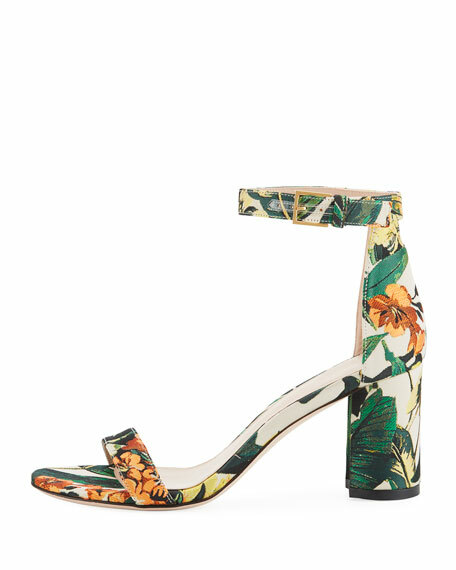 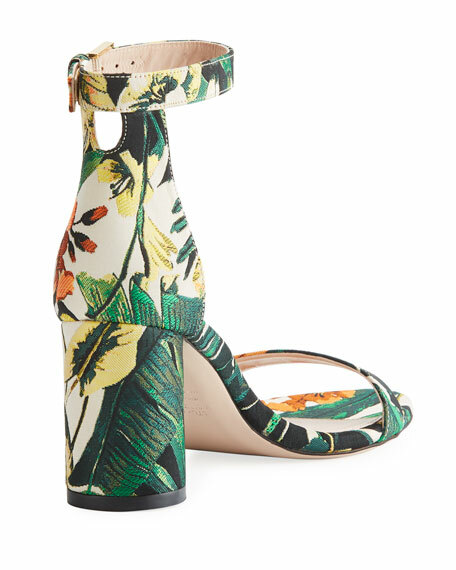 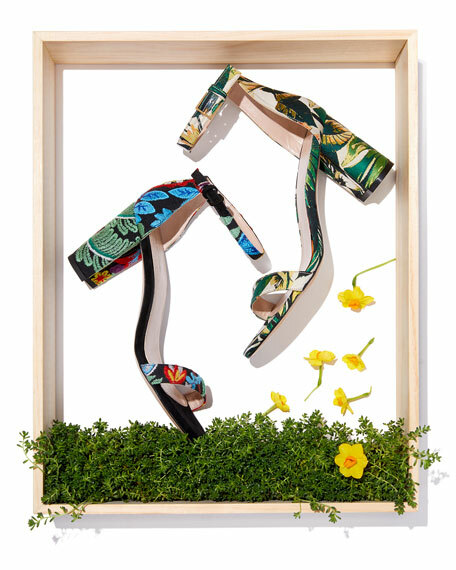 Stuart Weitzman sandal in botanical-print jacquard. 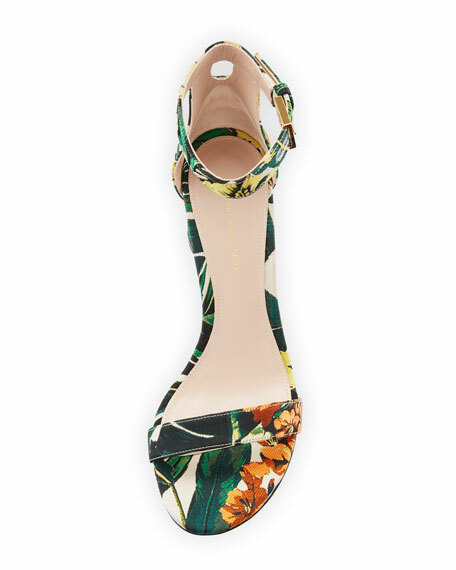 "LessNudist" is made in Spain. 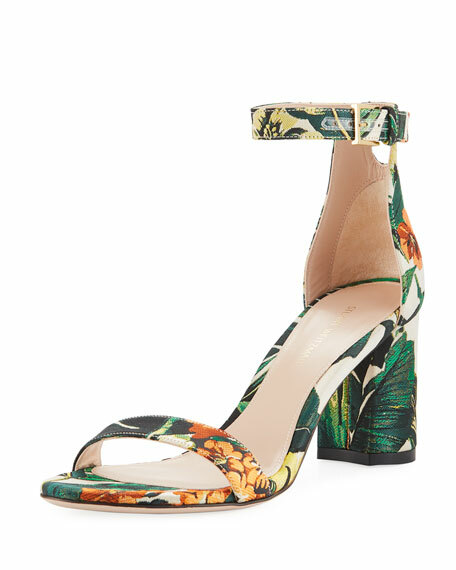 For in-store inquiries, use sku #2506754.